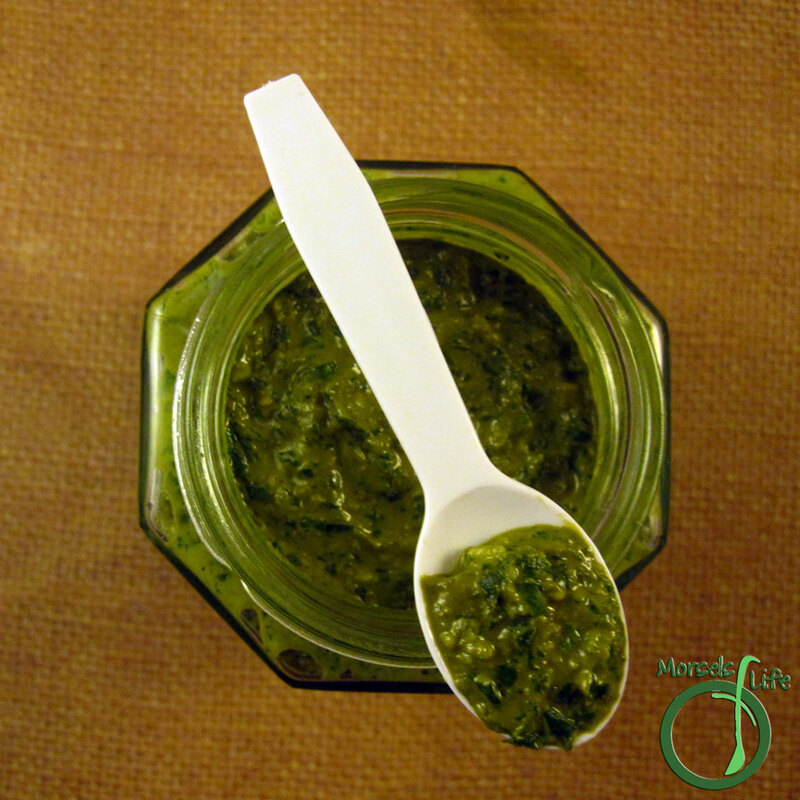 A simple basil pesto made from fresh basil, garlic, and Parmesan cheese. 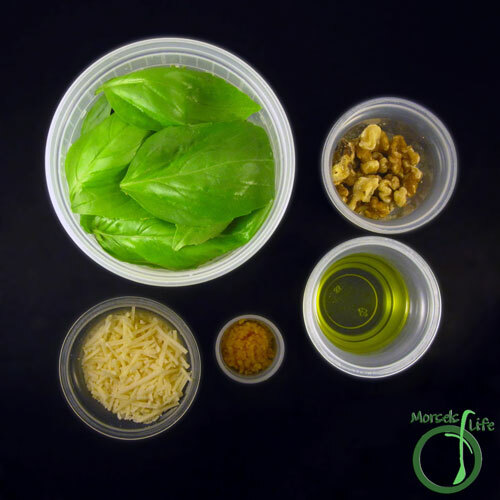 What's your favorite way to enjoy basil pesto? 37 grams 1/4 cup pine nuts I used walnuts. 2. Pulse together all materials except olive oil. 3. 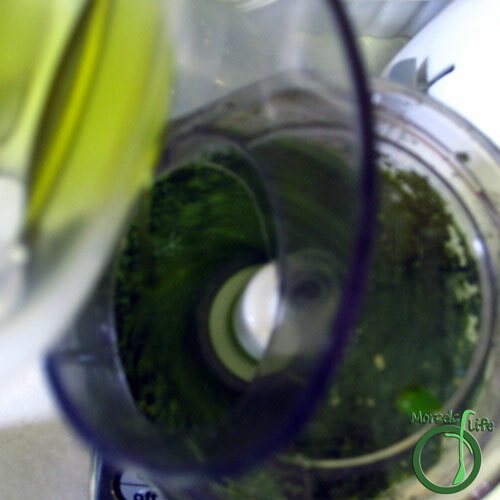 Add in olive oil until desired consistency reached. I just schedule a post with classic pesto - You don't often see the classic pesto genoa these days - Thanks for sharing on the What's for Dinner link up! Hehe, I actually don't make this one too often anymore. Instead I make the Green Basil Pesto (http://www.morselsoflife.com/2014/05/green-basil-pesto.html) mostly now since it's stays green. 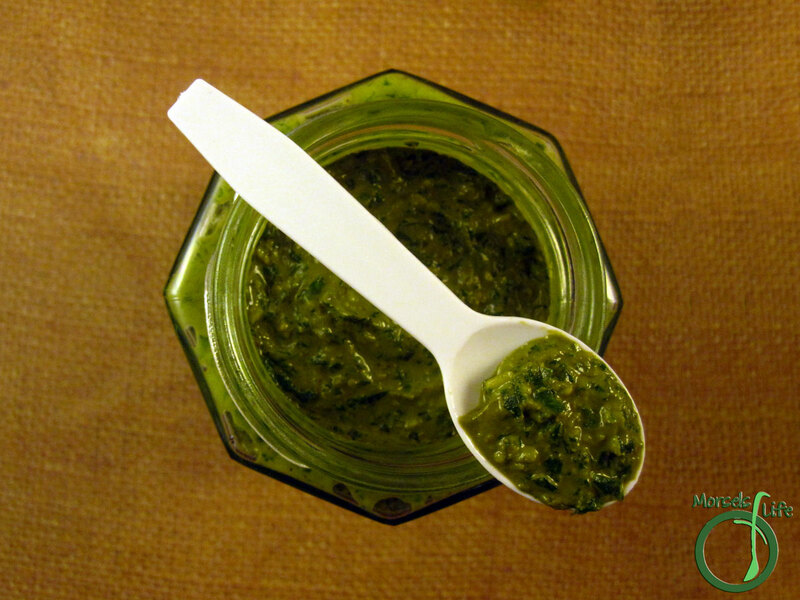 This pesto tastes just as good though! I am going to have to make this and give up the jarred stuff. I have an abundant of basil this year. Thank you so much for sharing. I love pesto on top of homemade hummus. Fresh pesto is so delicious. I like it on cold spaghetti! Thanks for sharing with #overthemoon! 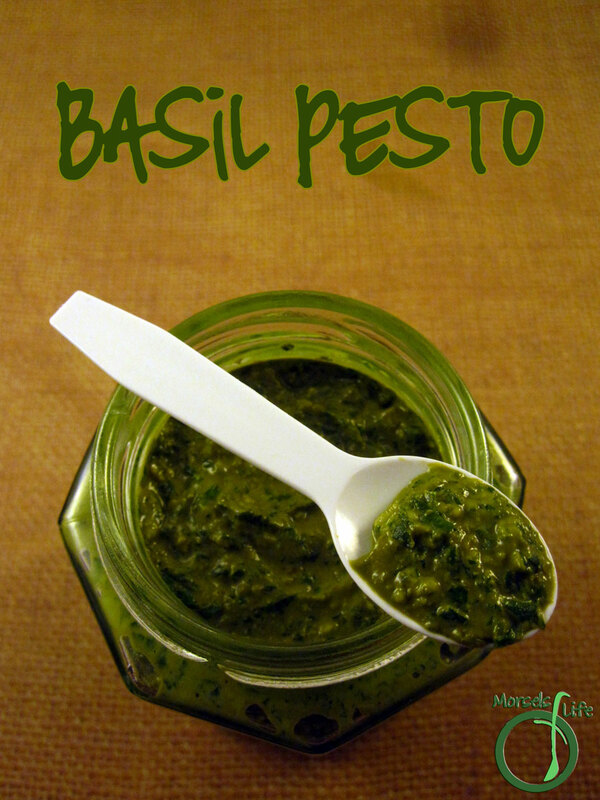 Basil pesto is a must for summer. 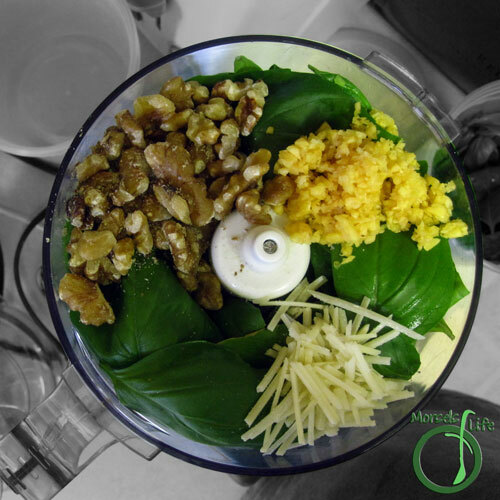 Thank you so much for sharing this with the Delicious Dishes Recipe Party! I make a lot of pesto. This looks great. Thank you for sharing at #OverTheMoon! I knew my little basil plant had a purpose! Now I know what!